Today marks the 25th anniversary of when the world lost Kishore Kumar, whose songs would leave his fans forever in their eternal trance. His voice is my earliest memory of Bollywood and is the standard to which I hold all singers in Indian movies to this day. Today's blogpost is a composite of several write ups I did a few years ago. Kishoreda is most remembered as a singer but was also a versatile actor, producer, director & music composer. Today's song is the live version Aah Chal Ke Tujhe from the movie 'Door Gagan Ki Chhaon Mein' (1964) in which he did all the aforementioned tasks. Kishore once said he wrote the lyrics of the song for his son to describe what he imagined heaven to be like. Somewhere he is looking down on us today and probably a bit surprised that he is still so fondly remembered by his fans, both old and new. i so glad that you are taking the time to remind us of teh classics...he is def a legend!!!! Nice tribute to Kishore Kumar. These days I have been posting my own tribute to Kishore Kumar by posting his sad/ serious songs, and I have discovered a large number of them, many more than I expected to find. 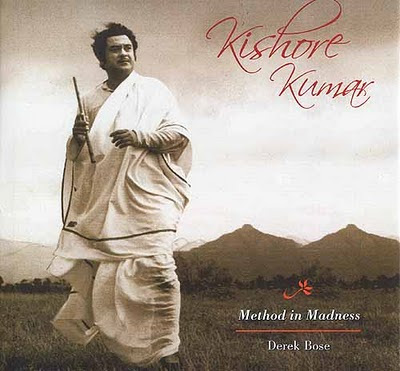 Atul - I went by your blog and really enjoyed your tribute to Kishore. His voice just has no equal and his sad/serious songs are just magic for me. Hey Sanket!! I enjoyed this blog post of legendary KK. Many of his songs reach the heart. BTW: are you not sending them to our emails anymore? Found this on FB. Keep writing/blogging!! wow! is very...good this legend!! wow !! ahahaha plis..go to my web! Koshered is most remembered as a singer but was also a versatile actor, producer, director & music composer. "Happy Birthday Koshered"
I miss you any time. He is the legend... I am so glade..